Are liquid vitamins for autism effective treatments for the disorder? Some vitamins can have a significant effect on brain functioning and on the nervous system. Parents and caretakers of children on the autism spectrum may readily recognize an obvious benefit of using liquid supplements instead of pills and capsules. Liquid is easier to administer, which makes the process much easier. There is less chance of choking, and the person taking the supplement is less likely to resist. Adding liquid supplements to beverages is a simple approach that ensures the person takes the full dose. Easy administration is one great benefit, but liquid vitamins have other appealing attributes to consider. Liquid supplements work immediately because you don't have to wait for them to dissolve. Many come in pleasant flavors, which can make them easier to take. Liquid supplements can benefit people on the spectrum because they are easy to take, and the digestive system absorbs them easily. The first step in determining which liquid vitamin supplements to use is to talk to your doctor or your child's pediatrician. With his or her guidance, you can create a plan for adding vitamins to the regimen. Researchers from Atascadero State Hospital suggest that deficiencies in vitamin D may play a role in autism, noting that children with rickets who also had autistic markers no longer had the signs of autism after treatments of high doses of vitamin D.
The brain has a vitamin D receptor, which indicates that the vitamin serves a purpose in the brain. A study from the Queensland Centre for Schizophrenia Research reports that fetal brain development was affected by mothers with low levels of vitamin D(3). Other research offers evidence that vitamin D plays an important role in the nervous system. Women who have relatives with autism may benefit from taking vitamin D supplements while pregnant, and the supplement may be helpful for people with autism. However, more research is necessary to determine if this supplement is a viable treatment for autistic disorders. Please take caution when considering approaches that make big claims, and ones that suggest supplements should replace evidence-based approaches like applied behavioral analysis (ABA). The article ABA Therapy vs. Biomedical Treatment seems to put biomedical treatments against behavior-based therapies, suggesting that it is best to "resolve biomedical problems first." Why replace an evidence-based treatment with an experimental one? Discuss the option with your child's treatment team to determine the best approach. Liquid vitamin formulas for autism are available, including "research-based" supplements. Agape is a vitamin supplement specifically for people with autism. Dr. Cindy Schneider, the Medical Director for The Center for Autism Research and Education (CARE), developed the formula. She is a parent of two children on the autism spectrum. 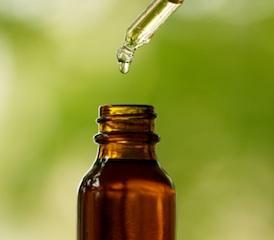 Use caution when using alternative treatments for autism. Products like Agape may offer excellent benefits, but they aren't necessarily a replacement for evidence-based treatments. It is important to note that the Association for Science in Autism Treatment (ASAT) states that vitamin B6 with magnesium has been found ineffective in changing behavior in three different studies. However, the studies do warrant more research. According to ASAT, "No well-designed studies have evaluated other vitamin and supplement therapies for individuals with autism spectrum disorders." While vitamin supplements may be a great idea for individuals on the spectrum, it is necessary to consider side effects. In addition, very high doses of vitamins can lead to overdose.